Sadly though none of those would be true. What it comes down to is despite our best efforts, sometimes life just gets in the way of blogging. Living the day to day of building a house, living with your parents, enduring a 3 hour a day commute to work & doing it all while trying to parent a 4 year old is tough. Sometimes at the end of the day it’s just too hard to sit down and have energy left to write anything beyond 140 characters. Some days it’s too much to even do that. So I decided I needed to take a break. To rejuvenate my brain. 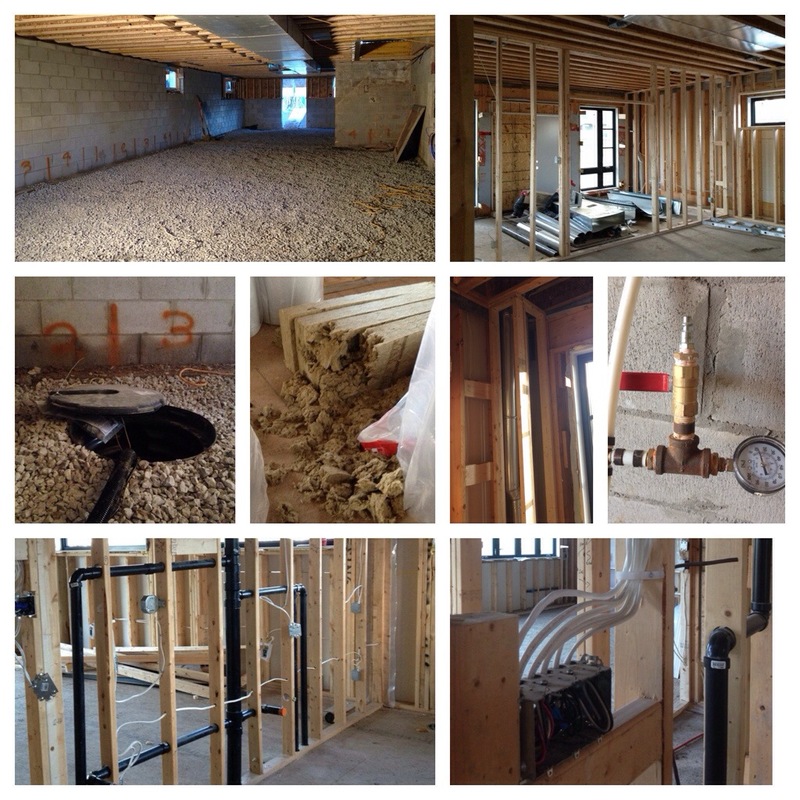 Getting there….progress in various areas of construction. Over the last several weeks we’ve had a bunch of trades in and out doing all of their final checks to prepare us for getting the walls closed up. Plumbing rough-in completed & pressure tested. Basement leveled prepped for the concrete slab. Next week Kes & I will be taking some time off from work to get our hands dirty with a little DIY so we can cross another item off our to-do list. We’ll also be starting insulation! Woo hoo! We’re inching closer to getting actual walls up in this bad boy! You can follow along on Twitter, Instagram as well as our Facebook page as we’ll be sharing lots of behind the scenes pics along the way. Bring on the #TeamDreamhouse #workcation! You have a lot on your plate but I think you’re doing a fabulous job at balancing it all! All the hard work and dedication will pay off big time in the end. The house is looking great and I’m super excited to see it come together! Thanks so much for the support Sabrina! Good for you taking some time off from the blog! I just did that and I found it to be a renewed energizer. Life is about balance and going on a trip is part of that balance. Your house is gorgeous by the way! Thanks Thea! I always feel guilty when I take blogging breaks, but it really does make a big difference. I cant wait to see your next update! Hope you have had some time to relax and enjoy summer, and let your trades put in some work! It’s looking amazing!!! And I can totally relate to the whole “living with parents, long commute” stuff. We are doing the same thing right this moment as our house is undergoing a major reno/addition. We are only at the beginning, so I’m feeling mighty envious of all that framing and roughing in you have going at your place! Hope you can find some time to relax and enjoy the summer!